active since June, 6, 2009. 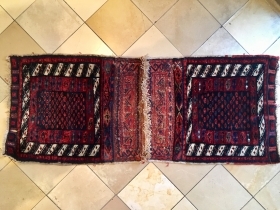 Nice Gendje rug. 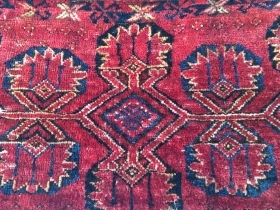 Great antique weaving from rural Caucasus. 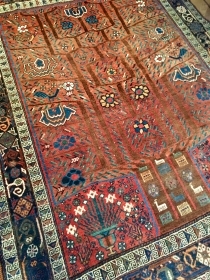 Antique Beshir Chuval 162 cm x 102 cm. 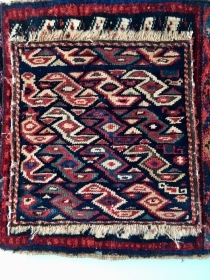 Charming Turkmen weaving. 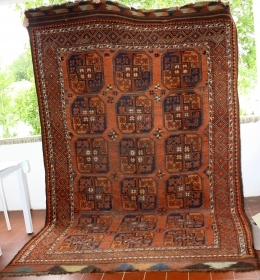 Wonderful Obruk Kilim with great dyes and drawing: 198 cm x 140 cm approx. 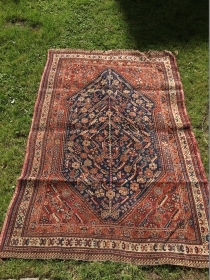 Cute and old Neiriz rug with tree of life washed and clean: ready to go. 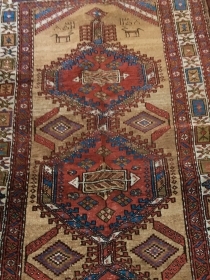 200 cm x 150 cm. 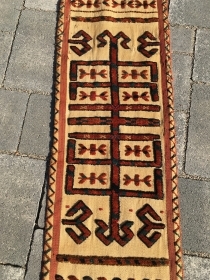 Great Tekke Ensi with unusual design. 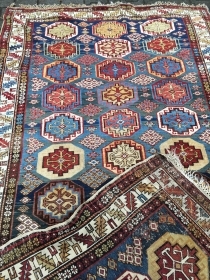 170 cm x 140 cm. It is washed (no colour run). 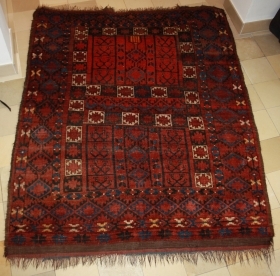 Large scale Ersari Torba: nice and tall: 115 cm x41 cm. Beauty! 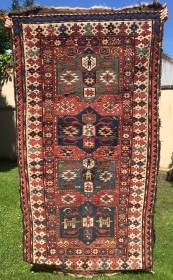 Classic Serab runnner, 292 cm x 91 cm. Dated and narrow. 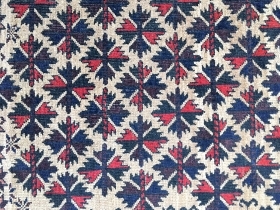 Only natural dyes and as found. Inexpensive! 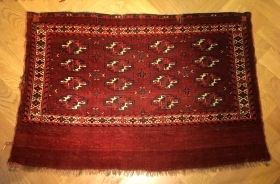 Early Saryk Tentbandfrag: 280 x 25 cm. 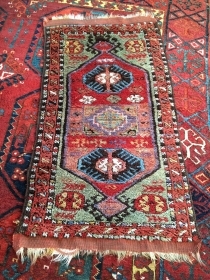 Very rare and authentic Turkmen piece. Great dyes and drawing. 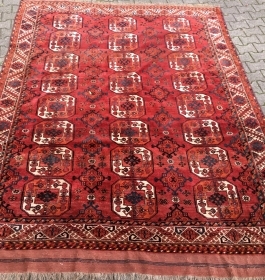 Nice small Gashgai rug with red weft: 185 cm x 120 cm as found. Only good colours. 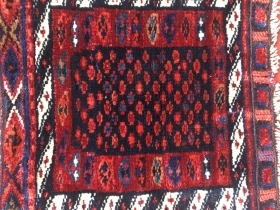 Elegant Karadashli Chuval (Yomud) with saturated natural dyes. 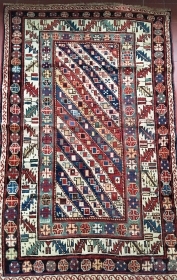 107 cm x 73 cm. 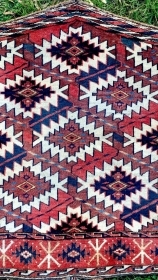 Cool Baluch prayer rug! Lots of colours and precise drawing. 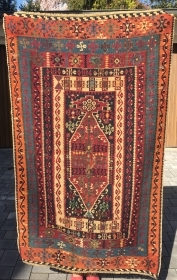 151 cm x 83 cm. Some Kelim left on the ends. 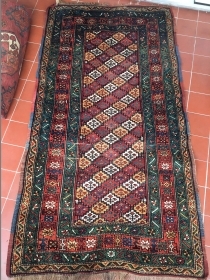 Nice Ersari Ensi: 170 cm x 140 cm approx.! Design like 113 Hoffmeister/Tsareva! Wool on wool kurdish Beauty. 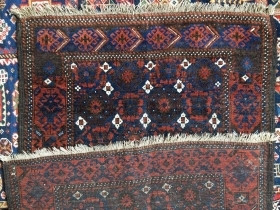 Washed and only natural dyes. 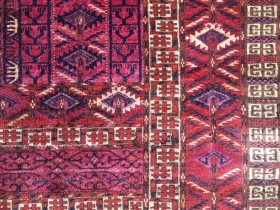 Great size: 1,9m x 1m. What a green! Around 1880. 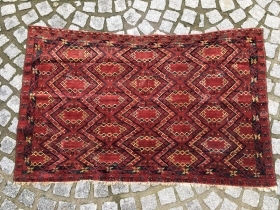 Cool Eastanatolian Yastik: approx 87 cm x 48 cm! 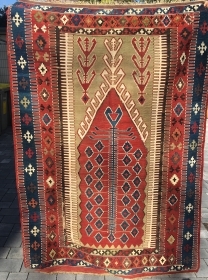 Malatya, Ganziatep? ?